The project creates 1.5 acres of creek and wetland habitat for fish, birds and other wildlife and is less than a mile away from the Martin Luther King Regional Shoreline and Arrowhead Marsh, an important stopping point for migrating birds. The Lion Creek Restoration Project was completed in 2010. 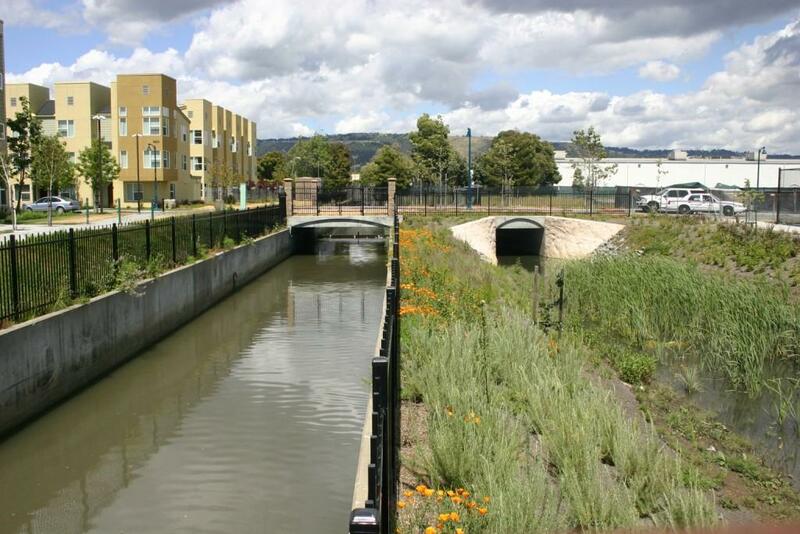 Located in the redeveloped Lion Creeks Crossings Park, between 66th and 69th Avenues and San Leandro Street, it is surrounded by new, mixed-use, Oakland Housing Authority Development units known as Lion Creek Crossings. The project creates 1.5 acres of creek and wetland habitat for fish, birds and other wildlife and is less than a mile away from the Martin Luther King Regional Shoreline and Arrowhead Marsh, an important stopping point for migrating birds. Prior to this project, the creek was entirely contained in a concrete flood control channel. To build the creek and wetland, 13,000 cubic yards of soil were excavated adjacent to the existing flood control channel. Diversion structures were installed in the channel, allowing for creek water from upstream and tidal water from the Bay downstream, to be brought into the new natural area. 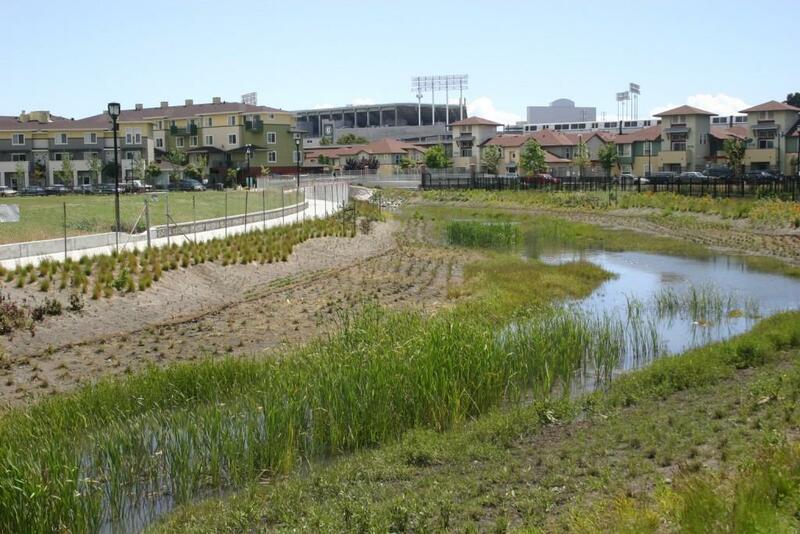 Finally, the site was planted with over 9,000 creek and wetland plants and a new pedestrian path was installed. In addition to providing important habitat, the project improves water quality and flood control protection, offers recreation and educational opportunities for local schools and residents and beautifies the neighborhood. Oakland partnered with and received funding from the Alameda County Flood Control and Water Conservation District for this project. Other funding sources for the project included Measure DD, the Oakland Trust for Clean Water and Safe Parks, grants from the California State Parks, Habitat Conservation Fund and mitigation funding. Looking downstream at the newly created creek bed and flood control channel. Native plantings in restored creek.